Grown-up yet playful, Varsha uplifts your ceilings with a softer look. Crafted from woven seagrass, Varsha’s natural materials are perfect for adding warmth to a pared-back space. 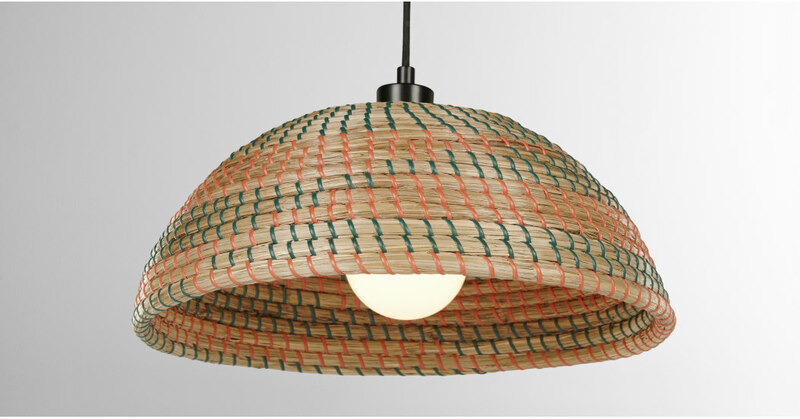 Woven with natural, red, and green seagrass, the bold tones on the Varsha lampshade are inspired by Mexican design. It’ll add a striking element to any room.